A contemporary circus show created by Adelaide based, multi-award winning circus company Time in Space Circus, The Displaced premiered in the 2018 Adelaide Fringe, winning Pick of the Fringe for the opening week and was The Highlight of Adelaide Fringe according to Richard Watts (Arts Hub). The show combines high levels of acrobatic practice with images of separation, longing and ultimate reunion, that whilst we can be an arms reach from each other, we might be light years away from establishing any true emotional connection. A contemporary circus show created by Adelaide based, multi-award winning circus company Time in Space Circus, The Displaced premiered in the 2018 Adelaide Fringe, winning Pick of the Fringe for the opening week and was The Highlight of Adelaide Fringe according to Richard Watts (*Arts Hub*). 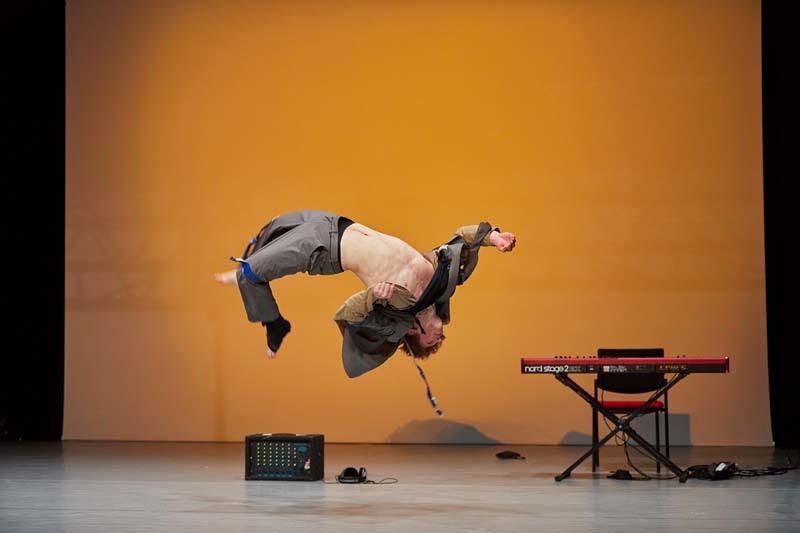 The show combines high levels of acrobatic practice with images of separation, longing and ultimate reunion, that whilst we can be an arms reach from each other, we might be light years away from establishing any true emotional connection. Be prepared to lift people and be lifted as we will be teaching everything from thigh stands, two highs, hand to hand, standing in hands, swinging, pitching and three high progressions. This workshop is perfect for those who want to further develop their acro skills or begin to have a play in a safe and encouraging environment.